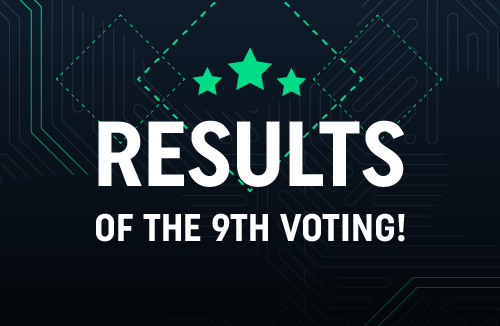 Results of the 9th voting! … PRiVCY and SAFEX CASH! The first place was taken by PRiVCY with almost 2800 votes! Congratulations for taking the second place go to SAFEX CASH which gained over 2400 votes! It was a very tight race to reach the podium, as the cryptocurrency on the 3rd place needed less than a hundred votes to be implemented on CoinDeal. As usual, the chosen cryptocurrencies will be implemented on our cryptocurrency exchange platform within 4 weeks. We would like to remind you, that before the implementation, we check each cryptocurrency that wins in our “vote for a new cryptocurrency” system. If we find any incorrectnesses, according to our policy, we have the right not to implement the cryptocurrency. We want to keep the high standards of our services. Soon, we will start with the 10th voting in our history! Remember, we do not cancel gathered votes, so the next coins from the list have a chance to become a winner! NEW: users have to have funds in any of their wallets to be able to cast a vote.